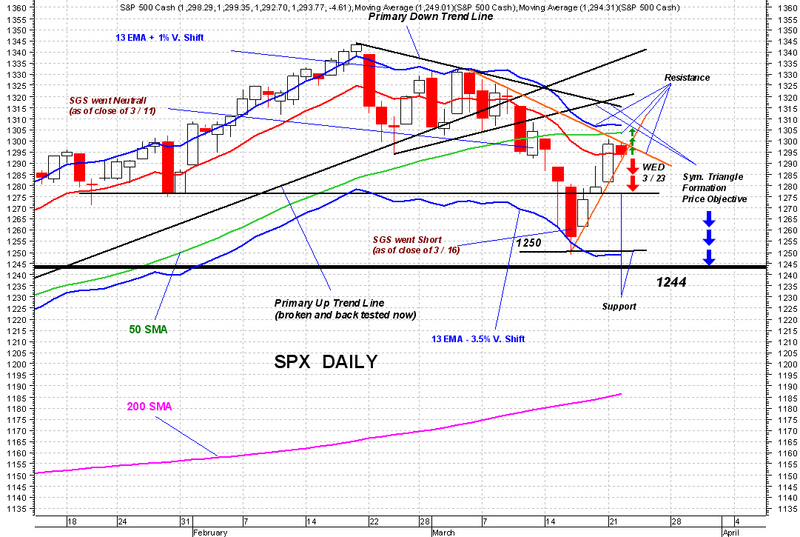 SPX was sandwiched by the two immediate trend lines (shown in orange) today. 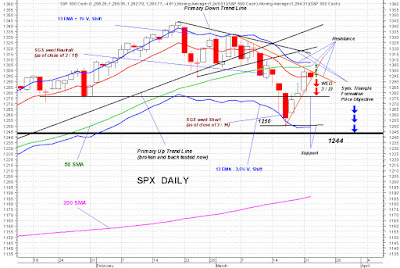 The fight between bulls and bears was a tie, but bears will get one more crack at dragging indices down tomorrow. I think they'll get it done. No one knows where our economy is headed now. That unknown has brought on a world of confusion and indecision into financial markets causing them to over react to news. Since I don't see a great deal of good news coming our way in the next few weeks, chances are good that Market would break to the down side any day now.